Diffusers, essential oils, aromatherapy, what is all that? What’s the point? Should I take notice? What is the best diffuser for Essential oils? These are just a few questions I’m going to try to answer in my post today. I’ve recently gotten into essential oils and love the impact it’s having on both my productivity and more importantly, my overall mood. Hopefully one of those things struck a chord with you. I chose them because they all transport me to a specific time, with certain people where I have felt comfortable and confident in myself. That’s what aromatherapy tries to do while also combining the natural benefits of the oil being diffused. For more information check out my article: Essential oils for work – Home Office Scents to Improve Productivity. In that same line, this article is aimed at giving you an edge on the freelancing competition by improving your overall focus and productivity. Let’s dive in! Diffusing is a fancy word for evaporation. The same thing that happens to water when you boil it for pasta. The only difference is, the diffusing I’ll be talking about today won’t have an Italian name and we’ll be defusing oils. There are multiple ways that essential oil diffusers can diffuse oil. How do essential oil diffusers work? Essential oil diffusers are manufactured to dispense oil, and their fragrance, into the air. Some diffusers use heat (not recommended), and some don’t. Heating oils up changes their chemical makeup and destroys some of their therapeutic properties. This is perfect for making your house smell nice! For this article, I’ll be talking about cool air atomizing diffusers. They use no heat to disperse fragrances and therefore maintain the benefits of the essential oils placed into them. They’re the only one that does this. If you only want to make your room smell nice, then any old diffuser will do the job. However, if what you want is the increased motivation, improved mood, the better overall well-being that essential oils can give you, then you’ll have to go with a cool air atomizing diffuser. Unfortunately, as is the case with most things, you get what you pay for. In this case, it’s much more expensive to create a constant circulation of cold air, as cool air atomizing diffuser do, than it is to say, light a candle, or warm up a hot plate. This means that cool air atomizing diffusers are about 4-5 times more expensive than your regular diffuser. Most people don’t realize they’re not getting the beneficial effects from a hydrolyzing or heated diffuser, and so they go with a $20 diffuser. That’s perfectly fine, but you won’t get any of the health benefits. 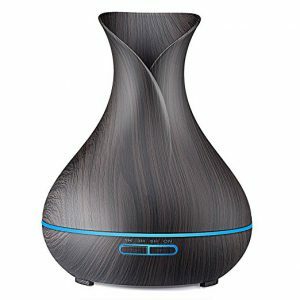 Aroma-Ace is one of the best-known names in Cool Air Atomizing Diffusers. Their standard atomizing diffuser is one of the best you can find. It’s a bit pricey at $129, but you won’t find any other atomizing diffuser for less. Although it’s a bit noisy right out of the box, you can buy a ‘silencer’ for about $9.99 if you find you can’t bear it. I haven’t had any problems. It just takes a bit of time to get used to. Any bottle of essential oil can be used. It’s ‘quick change’ system allows you to unscrew one bottle and switch it out for another easily. Click the photo below to head to their site! The ‘run’ and ‘rest’ time will go back and forth until the diffuser is turned off. What is the Best Diffuser for Essential Oils? There are a lot of diffusers on the market right now. If you want one that makes your house smell pretty, then any old diffuser will do the trick. 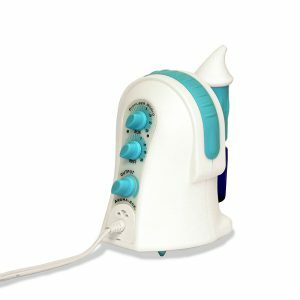 If you want the actual benefits of aromatherapy prescribed by aromatherapists, then you’ll need a cool air atomizing diffuser. They keep the particles of the essential oils intact. That’s where the benefits, the extra energy, better mood and more concentration all come into play. We all know how powerful smells can be and how they’re linked to certain memories and feelings. Aromatherapy uses that but then takes it to another level with natural health benefits of essential oils. We all need a bit less stress in our lives, so head over to 10 Ways to Manage Stress Levels – How to not go off the deep end to help get your life back into focus. Disclaimer: This information is not intended to be a substitute for professional medical advice, diagnosis or treatment. Always seek the advice of your physician or another qualified health provider with any questions about your medical condition. Thank you for the helpful article on the best diffuser for essential oils. I wanted to have a look at Aroma-Ace™ Essential Oil Atomizing Diffuser on Amazon but your link brought me to some other product. Anyway, I have been thinking about the essential oil diffuser for some time already as I have read a lot about the benefits of essential oils. But I have a baby at home so I wanted to re-check – what is the best essential oil to use if there is a baby at home? 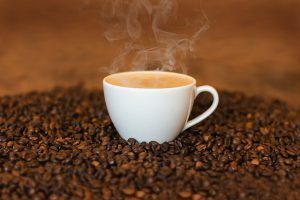 So that the aroma is not too strong and to avoid any problems it could cause to the baby (like an allergy or anything else). Thank you for stopping by and also for letting me know about the link. It should be fixed now or you can click here: Aroma-Ace diffuser. Babies, as you know can be delicate when it comes to substances like this. I found a great article at Healthline that outlines some essential oils that are generally deemed safe for use with babies. They also recomend doing a “Patch Test”, which is to apply a small amount on the leg and wait 24 hours to see if there is a reaction. If there isn’t, it should be safe. There is also dilution steps to make them softer and a few other practical tips. Thank you again for stopping by and let me know how everything goes! I didn’t realize that there was 5 different types of diffusers. My mom had been saying she wanted one for Christmas so I bought one from a Mom & Pop health food hippie store, not really thinking too much about the specs and quality. I assumed all diffusers were the same and did the same thing… make a room smell good. I also wasn’t aware that they had metaphysical properties ( ie: making you motivated, uplifting energy, healing headaches, etc) I think I am going to invest in a cool air one, because the one I got for my mother just heats up the oil. Good to know. THank you. There’s actually a complete science, aromatherapy, and career, aromatherapist, surrounding diffusers and essential oils. It’s the real deal beyond making your house smell nice. 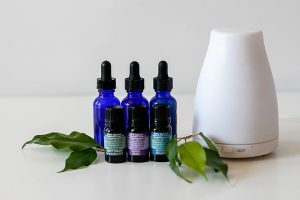 If you’re interested I’ve written a bit about some essential oils that are perfect for work and motivation: 5 Essential Oils for Work – Home Office Scents to Improve Productivity that could also help you great started in the right direction. If you ever have any questions please, don’t hesitate to ask. Thanks for stopping by! Thank you for the informative article. I have been using essential oils for awhile but have only used them in bath water or as a direct skin application with a carrier oil. I am thinking of getting an oil diffuser. I have a cat that had an allergic reaction to a plug in wall air freshener. Is it safe to diffuse essential oils around pets or do you think I will have the same problem? I appreciate you stopping by and leaving a comment. Most plug-in wall fresheners use synthetic oils or aromas so they can very easily cause allergic reactions in pets and even you. Using high quality essential oils, like those from DoTerra will significantly reduce the possibility of a reaction as they’re organic and naturally made. Also, remember that animals have a much more keen sense of smell so diluting your oils could also help alleviate reactions. Lastly, if you do use it for direct skin application as you say, if you then hold your cat it could transfer to them and when they clean themselves they could ingest it. If you haven’t had any problems so far, then you should be ok. Just something to think about. Check here for a detailed explanation as well. Great article on diffusers. I have one in my home office and just love it. I find the oils not only smell amazing but it is great for creating a calm ambient work environment. I appreciate you taking the time to stop by. Our sense of smell is connected with so many memories and calming effects. When you find something that works for you, you’ve got to stick with it! I’m always curious, which brand of essential oils did you go with? There are so many options out there, and most have their personal favorite that I always like to ask. I read your article. Its very informative and helpful for me. Thanks for sharing. I’m glad you found it useful. If you ever have any questions, please, don’t hesitate to ask!